Welcome to our website. We look forward to assisting you with your landscaping needs. 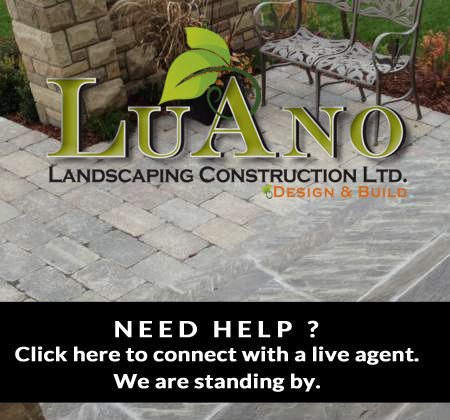 Luano Landscaping and Construction Ltd. has been serving the Vaughan and surrounding areas for many years and wants to earn your business. Our loyal customers love our personalized treatment; it keeps them coming back to us with all of their landscape requirements. Our customers are like our family. Our customer service is unmatched in the industry. Click on the live help button to chat with our online receptionist. Our receptionist is standing by Monday to Friday from 9am to 8pm EST. code in the field below.